Do you ever struggle with getting dinner on the table? If you are a busy mom like me….I need all the help I can get to make sure my family has a home cooked dinner. Here are 5 tips for getting dinner on the table quick because that is my FAVORITE way to do it!! Less time in the kitchen is more time with my family! Food prep is a simple tip that can save you so much time in the long run. Prepping my fruits and veggies after I get home from the store keeps me from wasting produce. It also helps me throw dinner together REALLY fast because I don't have to spend the time cutting, cleaning and chopping. The easiest way to prep food is to prep as soon as you buy. 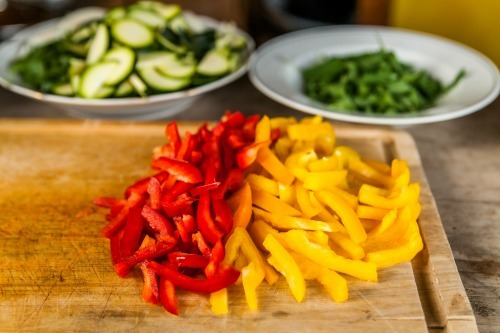 The minute you get the groceries put away…just grab the cutting board and start in with that produce. I am not in the running for chef of the year. Most of the recipes you find on Life is Sweeter by Design are EASY and family friendly. Shortcuts are king in my kitchen. Get a good base of recipes that are simple and that your family enjoys. 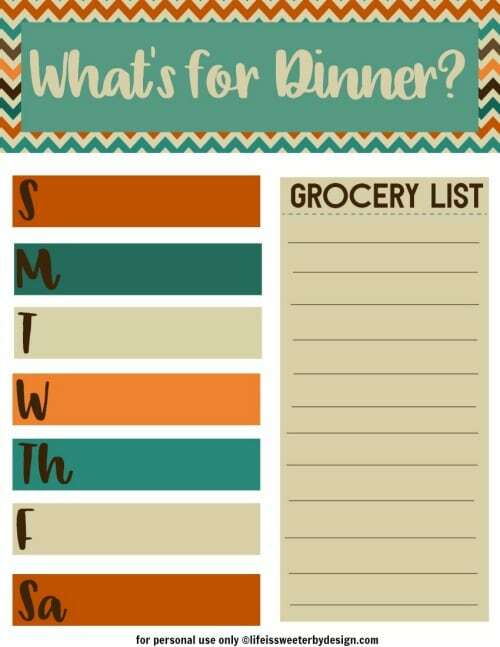 Rotate these recipes throughout the month and add in a new recipe each week. This will keep things new and exciting, but won't add a lot of stress to getting dinner on the table quick. New recipes typically take more time to make since we are unfamiliar with them. One way I can get dinner on the table quick is by choosing ingredients that don't add a lot of cook time. I also like ingredients that are really versatile and that I can keep on hand to use in LOTS of different recipes. I don't have to be a “chef” to end up with delicious food because No Yolks always cook up firm, smooth and fluffy and guess what…they STAY that way in the recipe too! When I need a quick meal it is so easy to grab the No Yolks out of the pantry and whip up a creative recipe with what I have on hand. 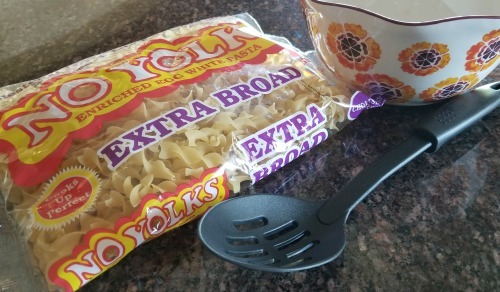 No Yolks have such a great variety of noodle cuts that I can try them in fun new dishes that my family is gobbling up!! Our favorite cut is probably the No Yolks Broad and Extra Broad noodles! They are delicious in hot and cold dishes! 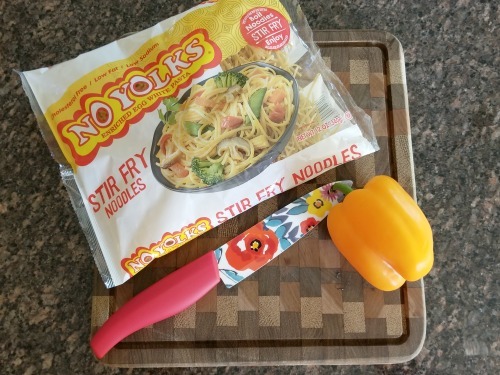 Some easy meal ideas I use No Yolks for are: Asian inspired stir fry, one pot meals, quick soups/stews, side dishes and even noodle salads for a cookout! You can grab a coupon for 50 cents off next time you buy No Yolks! Yes for savings!! A big dinner fail for me occurs when I am all set to start cooking and I realize I don't have all the ingredients on hand. Sometimes it is because a little person at my house ate an ingredient. Usually it is because I forgot to buy it all at the store, LOL. Keeping my pantry stocked and ready for meal prepping is important. I am a home body and don't like having to run to the store every single day. Making sure my grocery list if accurate and complete helps keep my fingers off the take-out number! 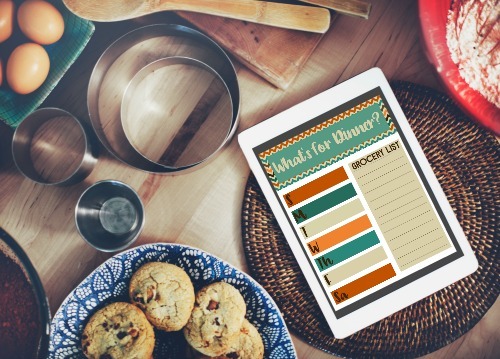 Without a menu plan it is really hard to get dinner on the table quick. If I don't have a menu plan, then I don't know what to buy at the store. I can't prep food that I haven't bought. Even buying the most versatile ingredients doesn't help if I don't know what I am going to cook!! I think you get the point…. Just click the image below to download your copy today. Who doesn't like having a chance to win? Well be sure to enter the No Yolks Sweepstakes for your chance at a $100 gift card. There will be five winners! How Do You Get Dinner on the Table Quick? So what was your favorite tip for getting dinner on the table quick? 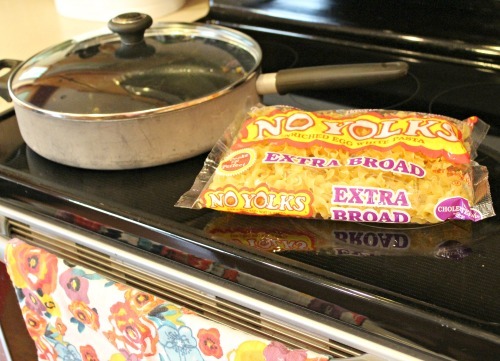 What exciting dish will you be cooking up with No Yolks noodles? I would love to hear about it!